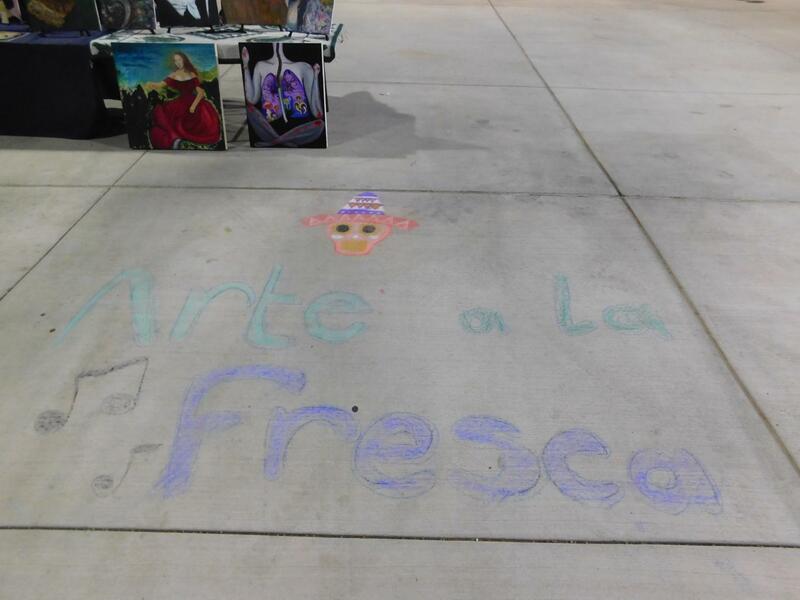 M.E.CH.A club started the Arte a la Fresco at 5 p.m. 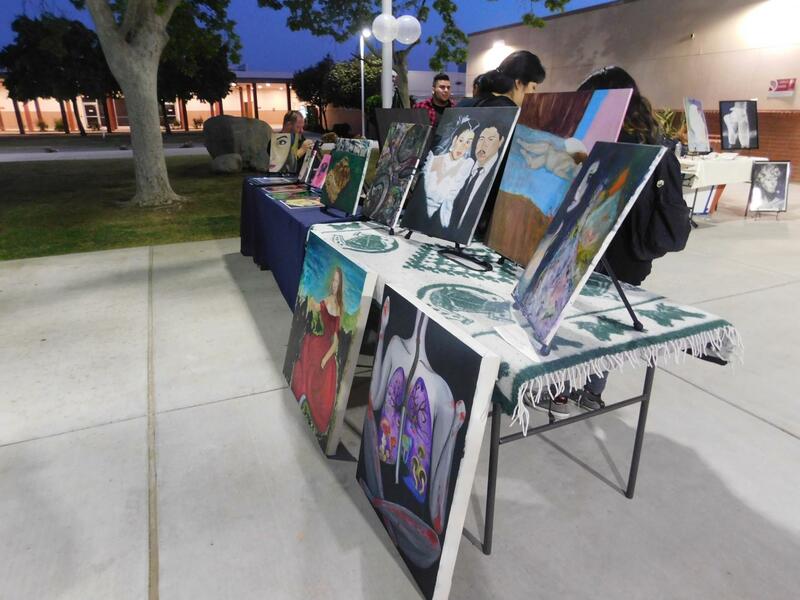 The Bakersfield College M.E.CH.A club had a Noche de Cultura event that took place on Friday, April 13 in the Outdoor Theater from 6-9 p.m. The event also had a pre-show called Arte A La Fresco which included paintings from BC students; it started at 5 p.m.
Emmanuel Limaco, Internal Representative for the M.E.CH.A clubs, explained what the event was about. He said that Noche de Cultura is a yearly event that the club does and it is free to the public. “We like to highlight many different cultures from around the world,” explained Limaco. Limaco added that at last year’s event they had a Peruvian group of dancers, and for this year’s Noche de Cultura they had two Mexican Folklorico groups performing. “We also have a Hawaiian group called the Jammin Island Hula,” said Limaco. 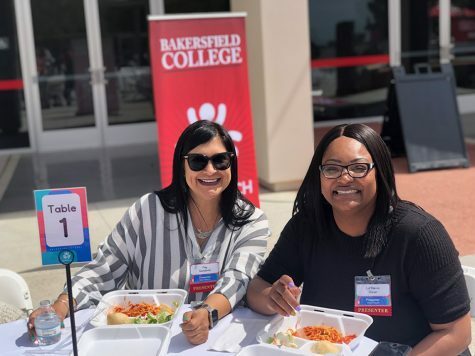 Limaco explained that the M.E.CH.A club has had this event at Bakersfield College since the 1970s. “We hope the next generation of the M.E.CH.A club continues doing the tradition,” he added. Art major student Belinda Rickett, treasurer for the M.E.CH.A at BC, shared that the performers were not part of the club. They are community members who wanted to display their art for the audience. 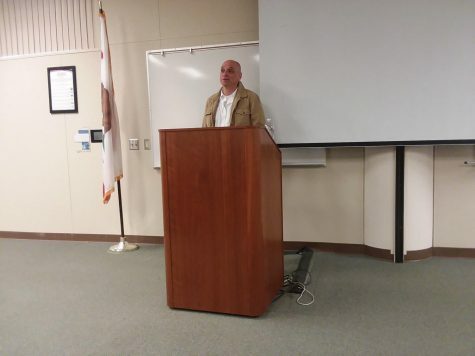 Rickett also explained that they always try to make free events to the public and they always have fundraiser money on the side to cover for some of the expenses of events like these. 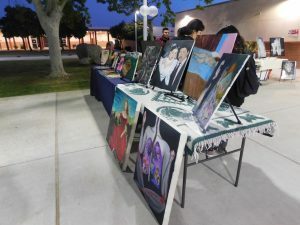 Some of the paintings done by the Fine Arts and Bakersfield College students that were displayed at the Arte A La Fresco. 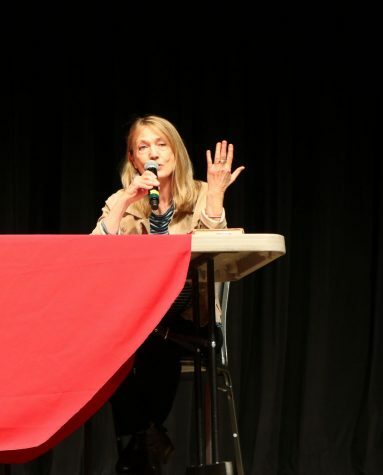 The club’s president, Dezi Von Manos, participated in the event by providing a tribute to famous Mexican-American Tejana artist, Selena Quintanilla. Von Manos is not only the president of the M.E.Ch.A club at BC, she is also BCSGA’s president. Von Manos is a communications major at Bakersfield College. She explained that the club had planned this event since last semester. “We knew the month that we wanted to do the event, but not the actual day so we started planning a semester ahead,” said Von Manos. She added that there were a total of 8 different group performers for the Noche de Cultura. The next coming event for the Bakersfield College M.E.Ch.A club is a Jess Nieto Memorial Chicano Conference. 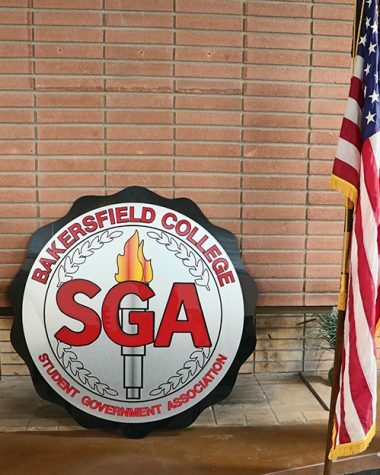 “We are honoring everything he did for the Chicano community, as well as acknowledging how important he was for Bakersfield College,” Von Manos said. 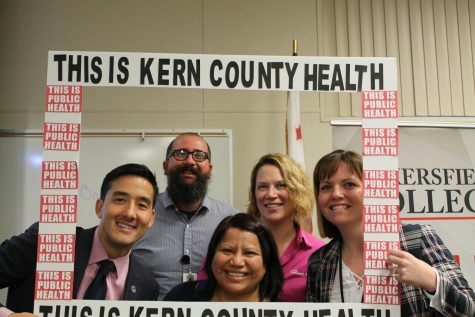 The event will take place Tuesday, April 17 from 3-8 p.m. at the Levan Center.